Shopping for the best yoga pants is not an easy task. 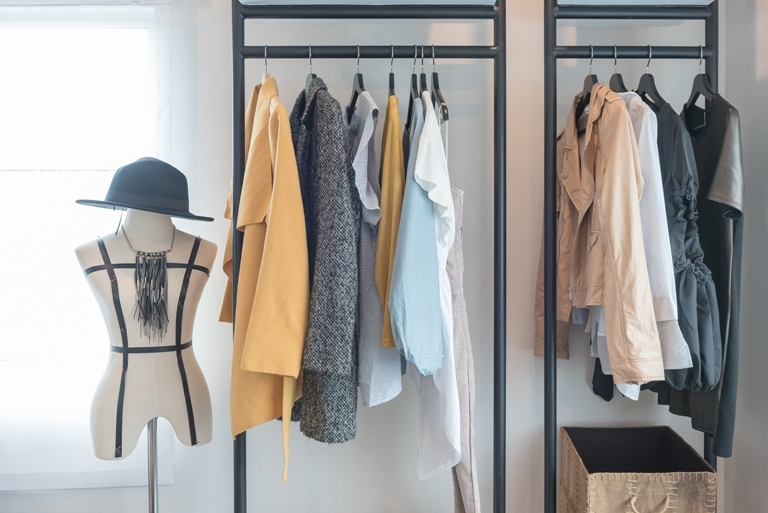 There are a lot of things to consider such as size, color, and cut. At the end of the day, we all just want to have comfortable yoga pants that will flatter our figure. If you’re in luck, you even can wear those pants to yoga class and not have to change. Well, consider yourself lucky. Here are six of the most awesome yoga pants that you can actually wear anywhere. The name says it all. We love how versatile this pair is! They’re quite comfortable for yoga mainly because of the modal material. Modal fabric is naturally breathable and feels silky-soft to the skin. Function wise, modal fabric is pretty high-wearing, so it is built to last. The Living Easy Sweatpants have elastic, drawstring waist for better fit and front slant pockets for your valuables. Get them here. These pants are designed to flatter any figure. It is made with rib knit fabric which is more elastic and durable than other fabrics. They will surely give any yogi just the right amount of stretch while framing all the right places. 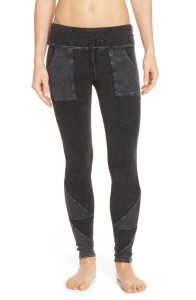 These particular yoga pants also have slit hems for those extra hard yoga poses. Like it? Shop here. Although these are technically leggings, they definitely fit the bill of basic yoga pants you can wear anywhere. It’s black, stretchy and has moisture-wicking fabric. Aside from letting you enjoy a sweat-free workout, these yoga pants are also fancy enough for a night out with friends. We just dig the subtle diamond pattern! Own a pair here. If you’re looking for fuss-free straight leg yoga pants, these are definitely it. Contoured seams give you the best fit possible without looking and feeling too tight. Check them out here. Hate plain? 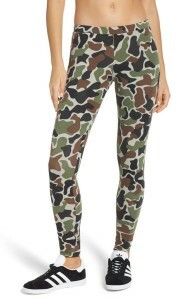 These one-of-a-kind camo-printed tights are for you! They are ultra soft, thanks to the cotton material. A bit of elastane lends some stretch for more comfortable yoga sessions. These tights are waiting for you here. 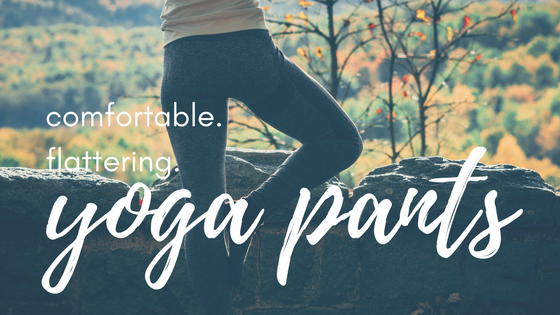 We highly recommend these yoga pants for those needing maximum stretch bottoms for their routine. It has four-way stretch fabric and features elastic drawstring waist for best fit. 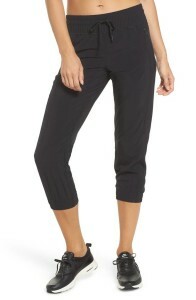 These crop pants are slim fit and have side-zip pockets and back welt pockets for your valuables. Shop them here. These yoga pants are sweatpants and leggings in one! Free People’s perfect cotton and rayon mix definitely makes these pants unbelievably comfortable for yoga. Actually, they’re cool enough and comfortable for any activity! 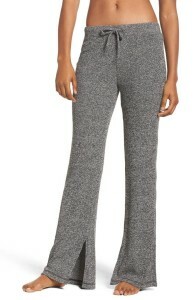 These pants come with an elastic drawstring waist and deep front patch pockets to match. Get your hands on them here. 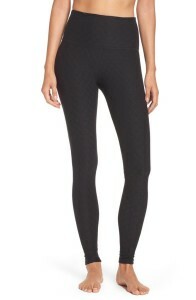 Have you found the perfect comfy yoga pants yet? Let us know!